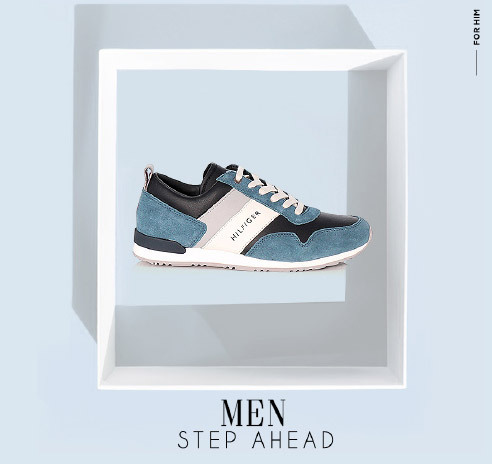 Fratelli Petridi is a long established brand in the fashionable shoe retail. Since 1957, it represents quality and chic style for both men and women. 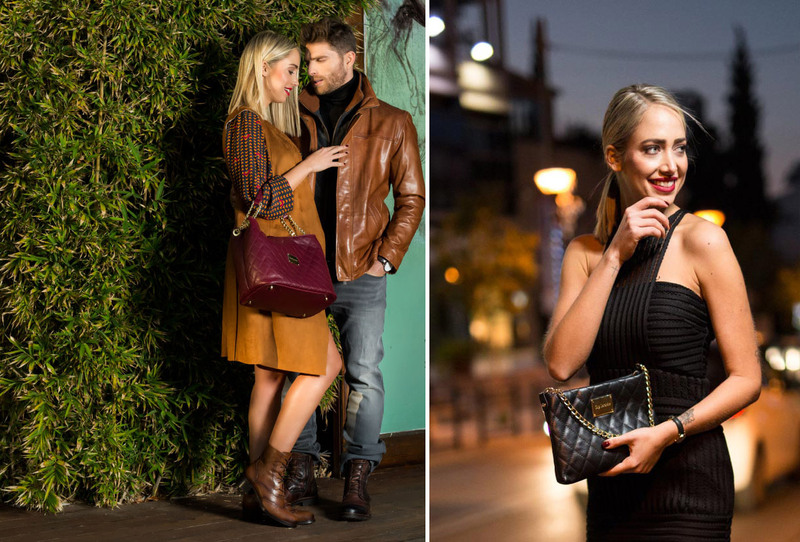 It's large clientele from all over Greece trusts it for the guaranteed quality, the updated but wearable designs and its large collection, which includes not also its own brand-named shoes and accessories, but also the collections of international quality brands. The fashionably elegant style that makes the brand stand out was clearly illustrated in the photo shoot for the FW16/17 campaign. The goal was to present the new collection with a touch of glamour, so much as to showcase the brand's quality and aesthetic standards. 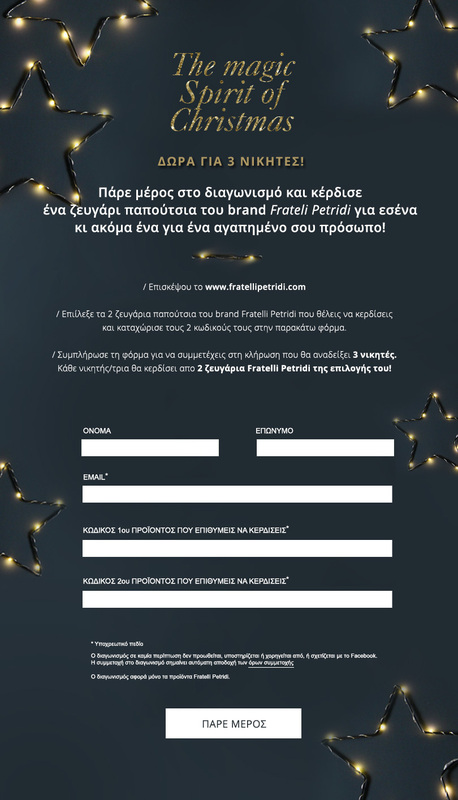 Successful eMail Marketing campaigns are among the cornerstones of great digital marketing strategy, and this is something very well implemented for Fratelli Petridi. With specific KPIs & brand values in mind we design newsletters that deliver results that are depicted in the relevant Open/Click/Conversion Rates. COMMA manages its Facebook community by consistently creating tailor-made posts with inspirational visuals and copy, which communicate the what's new of the brand on a daily basis, optimizing customer loyalty. 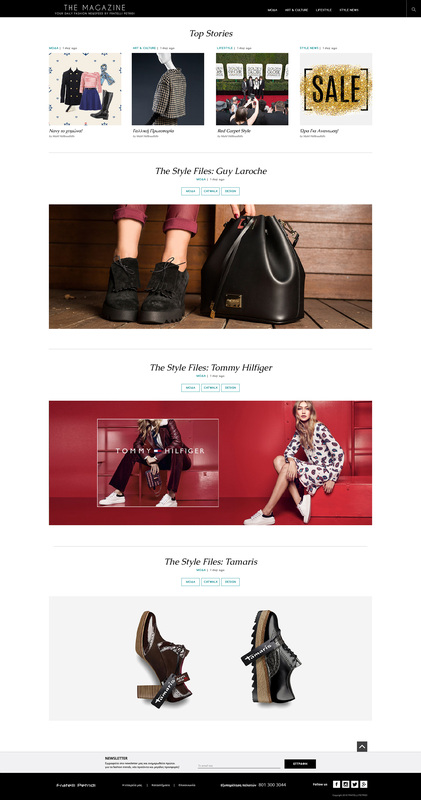 COMMA has designed, developed and is managing the eMagazine that manifests the brand's love for fashion. Engaging, fashion-oriented content that appeals to the Fratelli Petridi target audience, rich and inspiring imagery, style tips and news - The Magazine is a valuable tool for enhancing customer loyalty. Undrstanding the level of engagement specific digital assets can achieve, COMMA develops fascinating Facebook contests that stimulate interaction with the customers. Customized to the style and philosophy of the brand, they are a favorite of the Fratelli Petridi social media community.